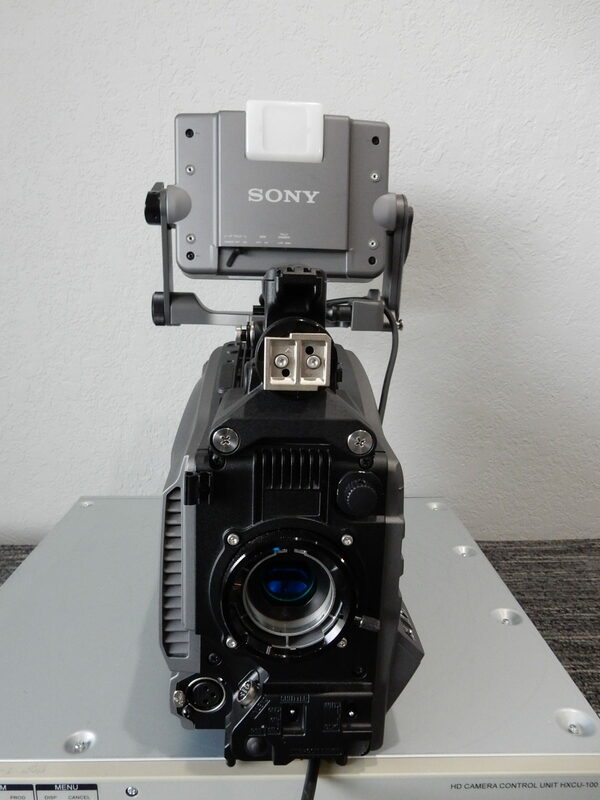 The Sony HXC-100 HD/SD System Camera equipped with digital triax technology, which allows systems to be configured with conventional triax. The HXC-100 camera supports versatile applications for HD with a high-quality SD output. It uses 14-bit A/D conversion circuit as well as the superb 2/3-inch Power HAD FX CCDs to bring out high picture quality. The use of a new, state-of-the-art CCD sensor ensures high quality images even at low light level. The high sensitivity of F11 at 2000 lux, together with a signal to noise ratio of -55 dB combine to deliver unprecedented picture quality. Dual-format operation – 1080 50i and 720 50P. The HXC-100 can operate in a wide variety of capturing modes, including 1080 50i and 720/50p. 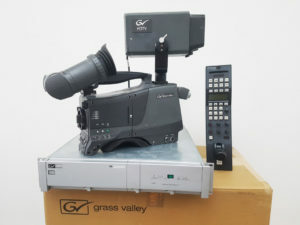 In addition this system has wide-band down convertor, which offers this system as top quality HD ready SD system camera. 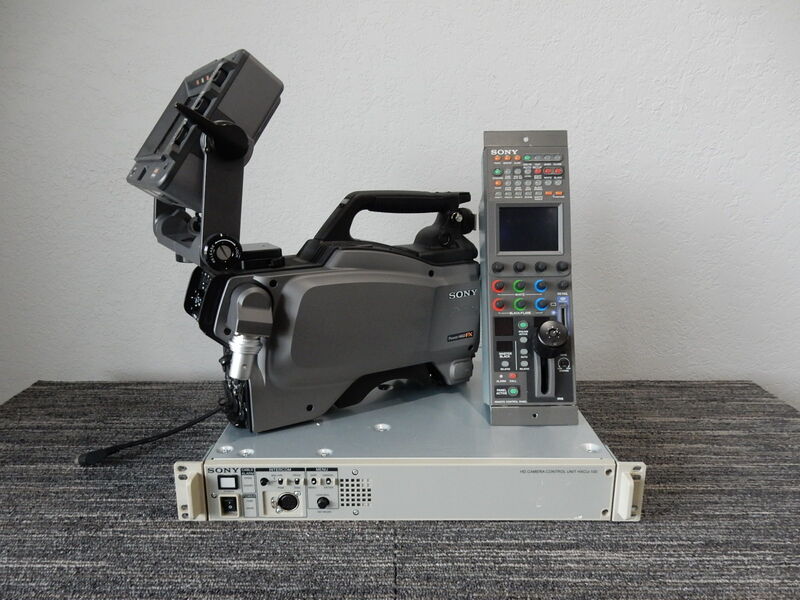 The design of the HXC-100 is based on over two decades of Sony experience in manufacturing broadcast video cameras and camcorders, and provides a high level of operability. All control switches and connectors are in the most logical places and are positioned for optimum functionality and ease of use. The HXC-100’s low centre of gravity design allows the operator to carry the camera comfortably on the shoulder. 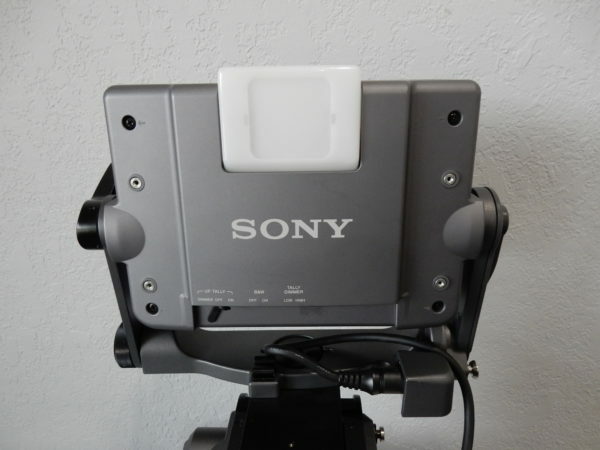 In addition, the shoulder pad of the HXC-100 can be adjusted either forwards or backwards without using a screwdriver, so the camera can easily be moved to a well-balanced position. 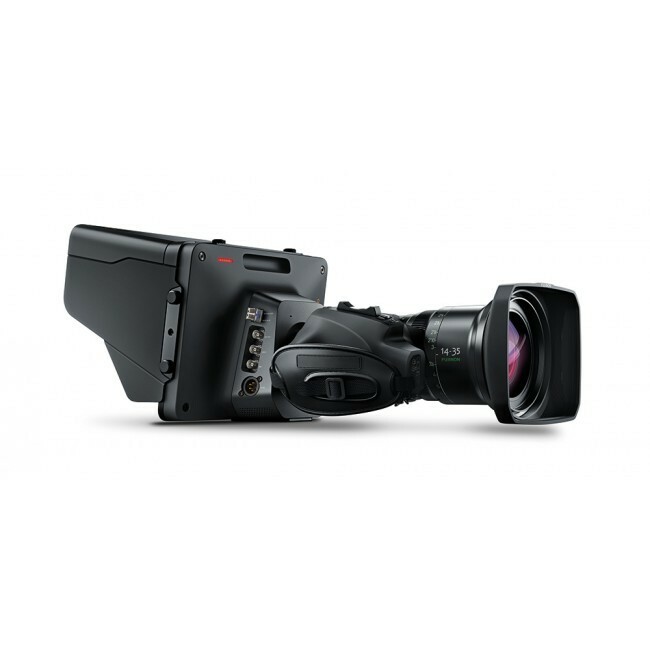 The HXC-100 is equipped with a newly developed three 2/3-inch type 2.2-megapixel HD CCD. Based on Sony HAD sensor technology and the latest on-chip lens structure, this new CCD offers a high sensitivity of F11 at 2000 lx. In addition to this performance, a wide variety of capturing modes including 1080/50i and 720/50P. The HXC-100 utilises a 14-bit A/D convertor, which enables images captured by the high-performance CCDs to be processed with maximum precision. In particular, this high-resolution A/D conversion allows the gradation in mid-to-dark-tone areas of the picture to be faithfully reproduced. Thanks to this 14-bit A/D convertor, pre-knee signal compression at highlight areas can be eliminated and the camera can clearly reproduce a high-luminance subject at a 600% dynamic range. 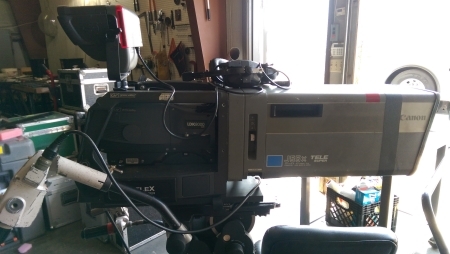 The HXC-100 camera utilizes a very high-quality digital triax system that expands its operability in field applications, as well as for studio production. The HXC-100’s digital triax system can be integrated into conventional triax-based infrastructures, enabling an easy upgrade from existing systems. 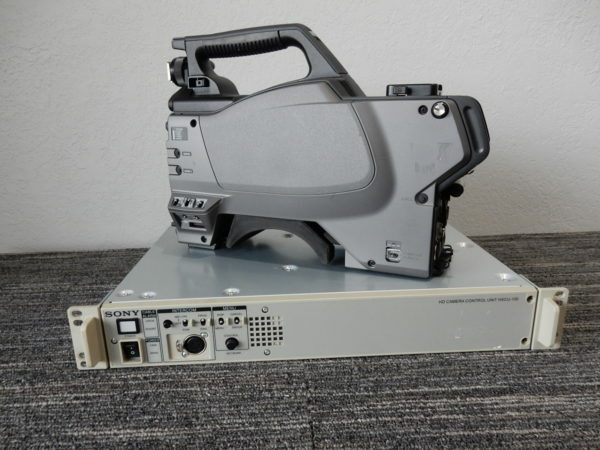 This newly developed digital triax transmission system offers long cable runs of up to 1200 m (3937 feet)* via a ø14.5 mm cable between the camera and the CCU. *The maximum cable length depends on the camera system configuration, lens type, and the number of cable connections. For easier focusing through the viewfinder, two types of focus assist functions are incorporated into the HXC-100: Viewfinder Detail and Focus Assist Indicator. To intuitively recognize a focusing point, users of the camera can add dedicated image-enhancing edge signals directly to the viewfinder as “Viewfinder Detail”. The “Focus Assist Indicator” is a helpful tool for manual focus adjustments as a “focus meter”. An indicator is displayed at the bottom or other positions of the viewfinder frame, enabling users to make more accurate and fine focus adjustments. 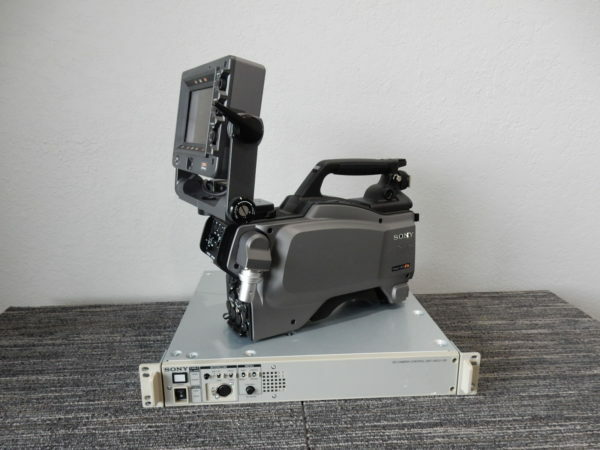 The HXC-100 camera offers flexible configuration with the highly compact 1.5 RU-size HXCU-100 Camera Control Unit, creating a standardized 19-inch rack system that is ideal for space-limited production areas. Combined with the HXCU-100, the HXC-100 can be configured as a simple studio system. 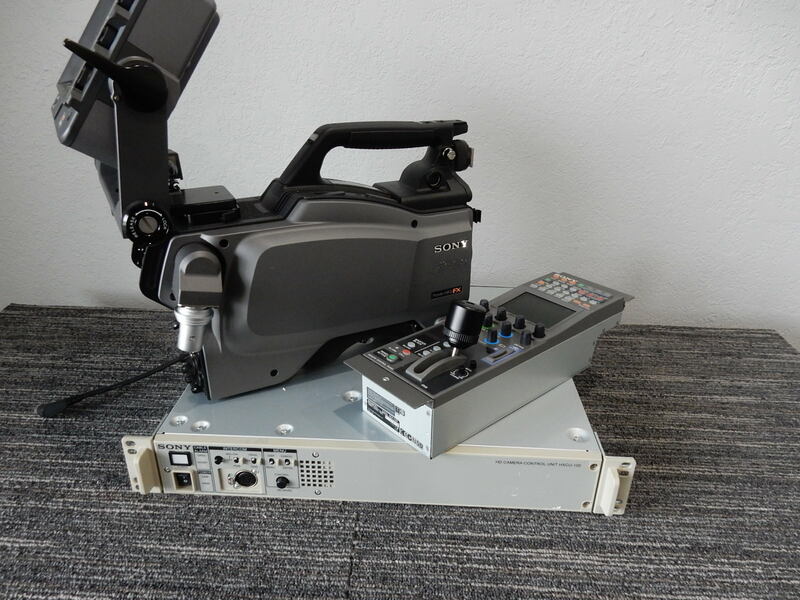 Equipped with the latest Sony-developed digital transmission technology, the HXCU-100 can transmit high-resolution pictures between the camera and CCU, regardless of the cable length. The HXCU-100 features flexible interfaces of selectable inputs/outputs between HD-SDI and SD-SDI. What’s more, the optional HKCU-FP1 CCU Front Control Panel is also available. When the front panel of the HXCU-100 is replaced with the HKCU-FP1, a simple remote control system can be configured. Many functions of the camera can be controlled by the control knobs and switches on the HKCU-FP1. In order to survive the stresses of professional use, the main chassis of the HXC-100 is made of a magnesium-alloy casting. This rigid body makes the camera highly durable and helps to protect its lightweight precision components such as the integrated optical and electronics. In addition, the outside cover panel is designed as a dual structure consisting of a main structure and a cover part. Due to this revolutionary structure, the cover can be replaced easily if damaged, thereby protecting the value of your asset. 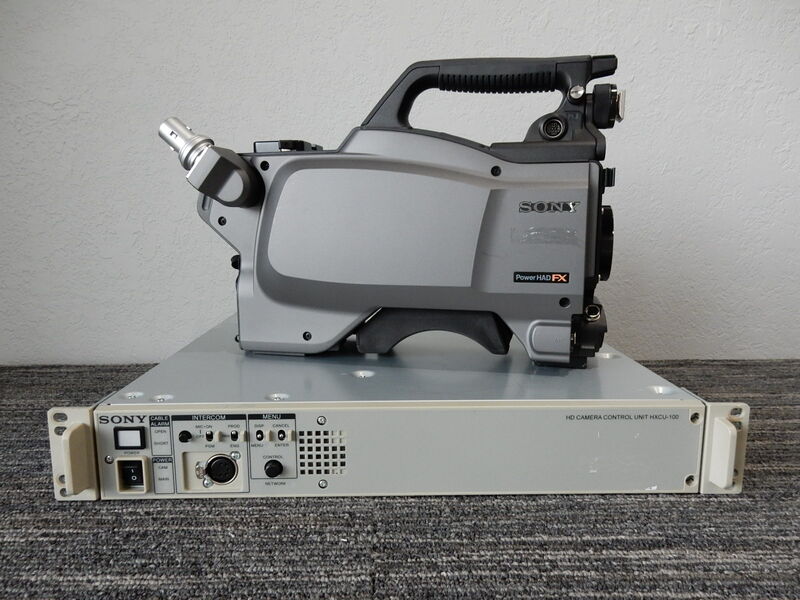 Digital Full HD transmission up to 1200m* using standard triax cableThe HXCU-100 Camera Control Unit (CCU) offers long cable runs of up to 1200m (3937 feet) via a ø14.5 mm triax cable between the camera and the CCU. * The maximum cable length depends on the camera system configuration, lens type, and the number of cable connections. Optional remote control panel to control HXC-100The HXCU-100 is compatible with the RCP-100 family of remote control panels. In any case, the optional HKCU-FP1 CCU Front Control Panel can also be used instead of the RCP. When the blank front panel of the HXCU-100 is replaced with the HKCU-FP1, a simple remote control system can be configured. Many functions of the HXC-100 camera can be controlled by the control knobs and switches on the HKCU-FP1. Multi-system input/output interfacesThe HXCU-100 features flexible interfaces of selectable inputs/outputs between HD-SDI and SD-SDI. Other interfaces include VBS in/out, HD/SD component video output, as well as sync out and mic and prompter inputs. Built-in down converter maximize flexibilityThe HXCU-100 includes a built down-converter to SD providing simultaneous HD and SD outputs. The RCP-750 is a full function remote control panel for use with BVP-E30 series and HDC-1500 series cameras. This RCP includes a color LCD touch screen, to provide fast, simple access to virtually all camera functions within a compact sized panel. Rotary controls are provided for RGB black and white level adjustments, together with joystick control of iris and master black. Dedicated switches provide quick access to the most frequently used on/off controls. The RCP-750 has a very compact panel layout, but still provides access to the majority of camera adjustments. Furthermore, the RCP-750 requires less than 70 mm of depth below the top surface, permitting simple desk design. A unique colour LCD touch screen provides menu access to all camera parameters. The hierarchical menu structure is designed for quick, simple access to all frequently used adjustments. Despite its compact size, the use of an RCP-750 allows a powerful camera control system to be created without requiring an MSU. The ergonomic design of the LCD screen, panel surface and switches makes camera operation simple and easy. 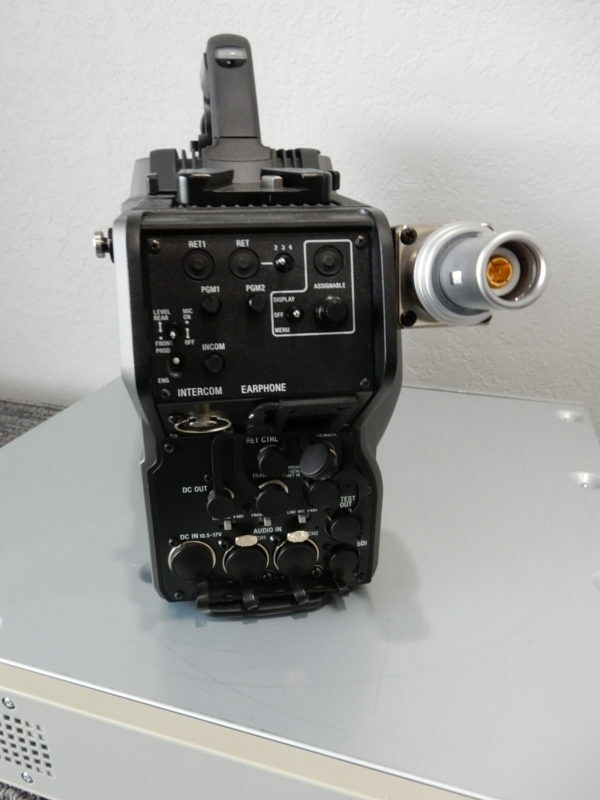 The RCP-750 takes its power from the CCU using the normal control cable. No additional AC or DC power supply is necessary, simplifying installation and wiring. Within many operating environments, especially OB vans, space is often limited. This RCP occupies little space, yet is able to control almost every function of all the Sony systems cameras. 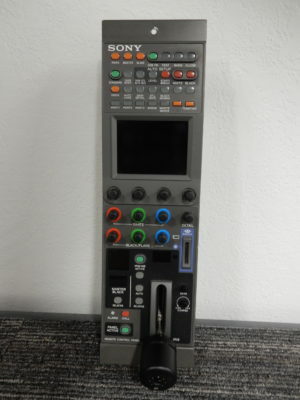 By including a unique color LCD touch screen, the RCP-750 provides menu operation of all parameters, making camera alignment quick and easy. The menu structure is intuitive and easy to use, and operates in conjunction with 4 rotary encoders for control setting. By including all control functions on the RCP, it is possible to eliminate the requirement for an MSU in many installations, thus offering an important cost saving. The RCP-750 includes a Memory Stick slot, which allows users to store a copy of camera scene files for security and backup. File transfer between cameras is also possible using the Memory Stick. The arrangement of controls and indicators ensures quick, foolproof camera adjustment. In addition to the LCD menus, dedicated controls are provided for the most frequently used controls. 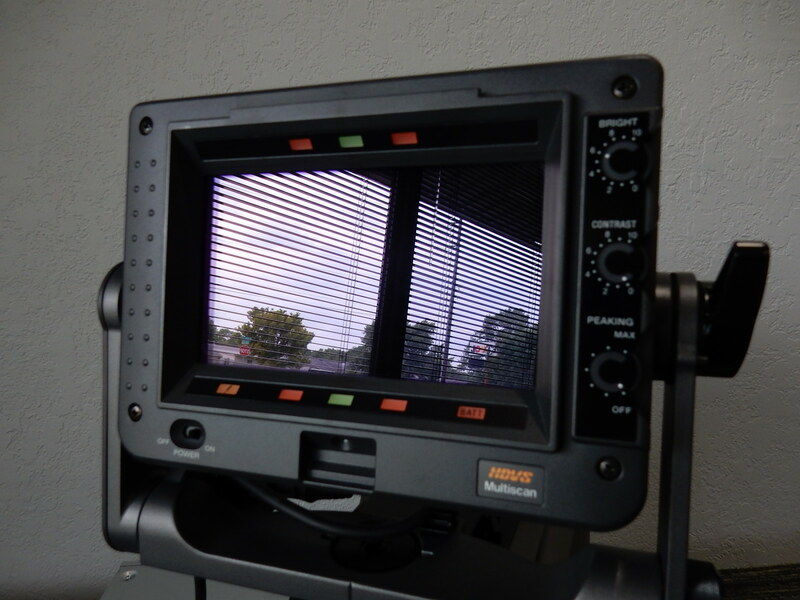 The LCD panel permits a compact chassis, which allows much greater panning and tilting angles than CRT-base viewfinders. 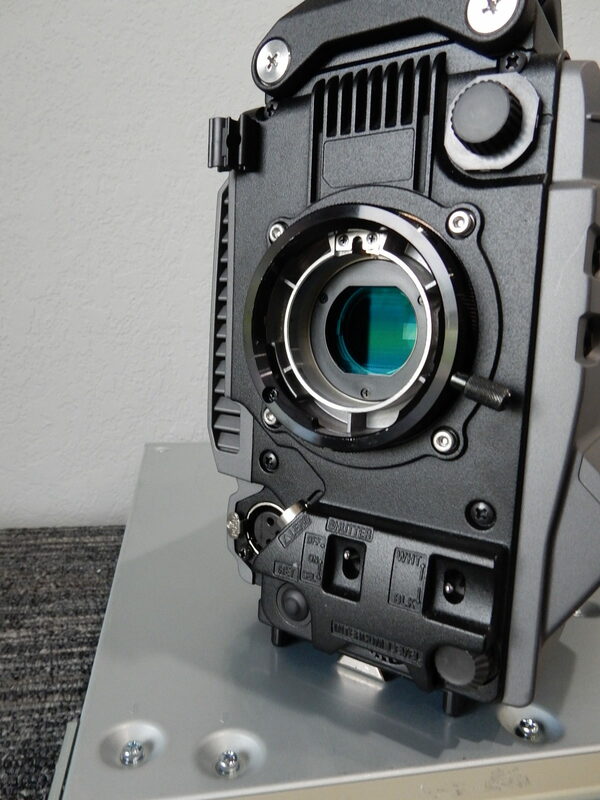 The HDVF-C730W can be fitted directly to the HDC-1500/1550 or HDC-3300, without using a Large Lens Adaptor. Accommodates multiple frame rates, both interlace and progressive.